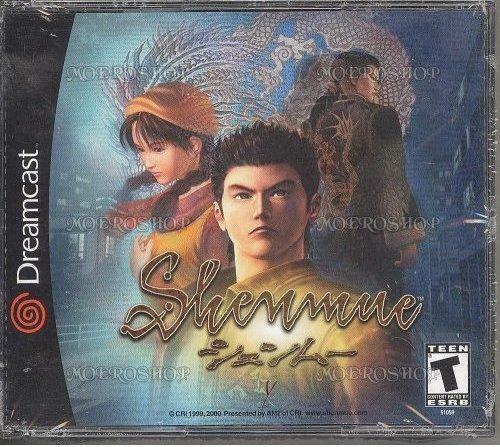 *This is a used Shenmue game for the Sega Dreamcast and has been tested to work perfectly. Includes original jewel case and may or may not include the manual. To say that Shenmue is an anticipated title is an understatement; the game made huge waves in Japan upon its release, and American gamers have been waiting since then to see what the fuss is all about. It's a game in which the concept itself is the selling point. What if you could portray a young hero in a fully realized Japanese city? Would you like to participate in and influence an over-the-top kung fu-style action-mystery flick in your living room? What if lots of combat, cinematic flourish, detail, and a dash of romance were thrown in? The game itself is awash in small details, crammed into a confined space. The city of Yokusuka circa 1986 is rendered beautifully in a short series of neighborhoods that are long on detail even if short on variety. The story itself is ripped straight from a chopsocky flick: you portray the young hero Ryo Hazuki, whose father (a kung fu sensei, naturally) is killed before his very eyes by a mysterious and frightening villain. Ryo must uncover the identity of the killer and fight his way through the city in an effort to avenge this wrongful death. Shenmue's Yokusuka might be short on space--in total, it represents maybe a square mile--but the detail is overwhelming. You can interact with nearly every person or object that you see; 300 citizens go about their daily routines, and whom you encounter is as much determined by where you are as when you are there. Much of this interaction involves combat that ranges from Dragon's Lair-style reaction tests (such as timing a button press to dodge an oncoming car) to freeform kung fu fighting. Further, each second of real time equals about a minute of game time, and Ryo has to be home by 11 p.m. each evening. The game moves at a brisk pace, and each challenge or battle feels like a race against time. Some might say that gaming doesn't get shallower than this (you are essentially performing tasks and exploring, instead of gaming), but the game feels like no other and is ultimately satisfying by the time that it all ends. In this way, Shenmue is more than a game--it's an event that's worth experiencing.